This pleasant string trio is very straightforward (it does not go above third position for the violin), and is rhythmically simple. It would be suitable for players of intermediate standard. It is the third of six trios in Opus 2, and has three melodic movements. A second violin part has been included, which can replace the viola part if no viola player is available. 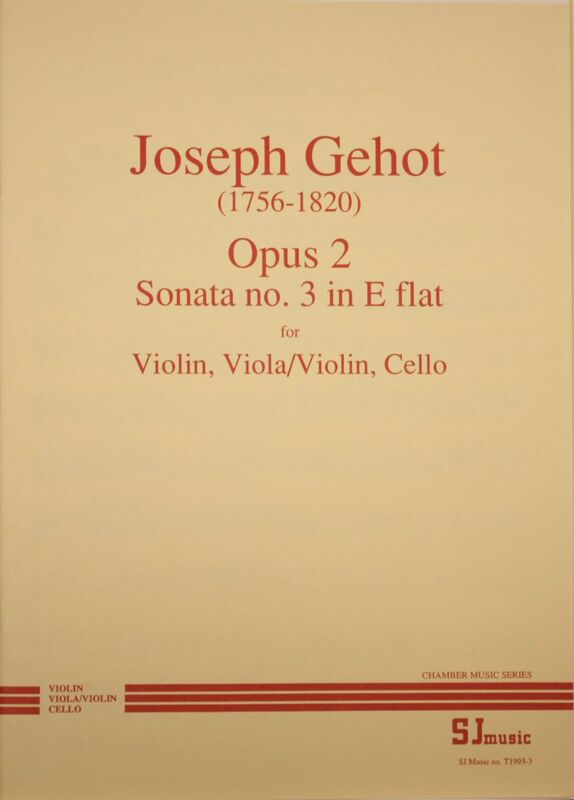 It was composed by Joseph Gehot who was born in Brussels in 1756, moved to the USA in 1792, and died there circa 1820. He was a violinist, composer and teacher and amongst his compositions were numerous string quartets, trios and duos. In 1991, “Musique en Wallonie” was set up in Belgium with the goal of discovering the rich musical heritage of the region and finding works of composers that had fallen into undeserved oblivion. Joseph Gehot is one of the composers who was selected.